1. 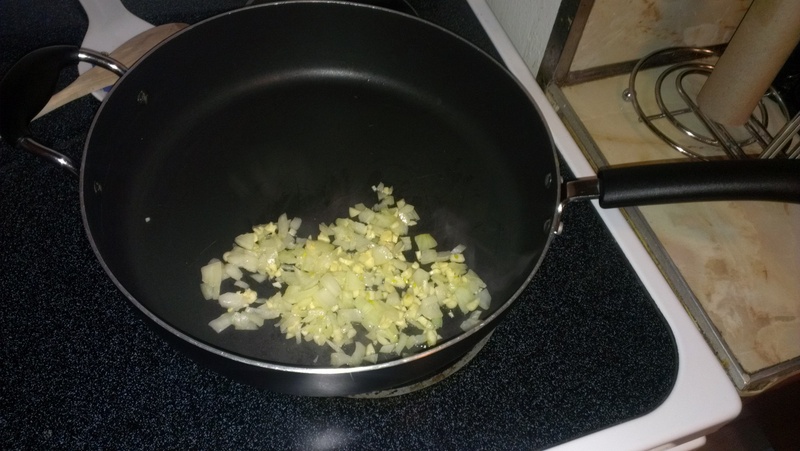 Sauté onion and garlic in a medium saucepan on high heat – about 5min. 2. 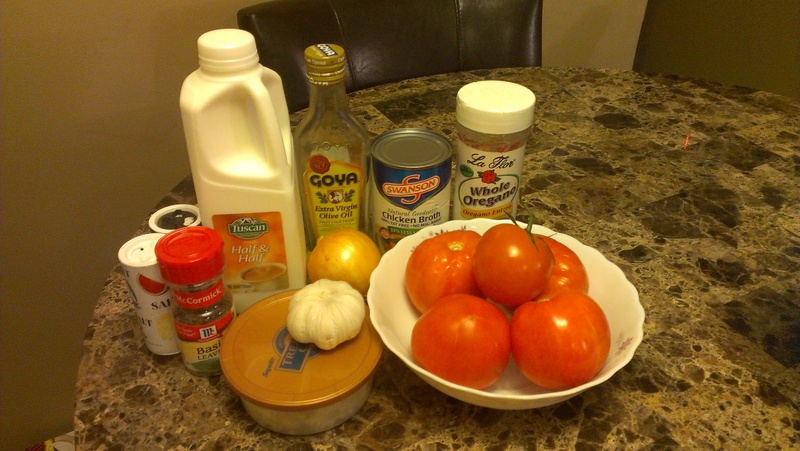 Add tomatoes and juices, and cook on medium heat, stirring occasionally – 10 min. 3. 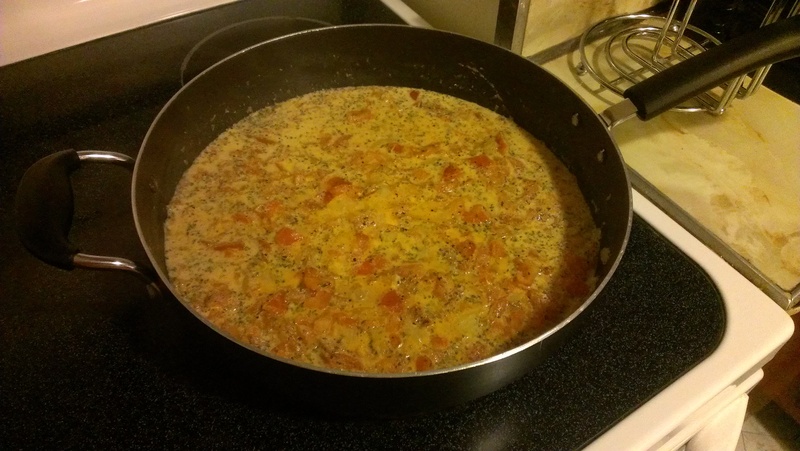 Add chicken broth, half & half, basil, salt & pepper and simmer on low heat, stirring occasionally – about 35 min. 4. 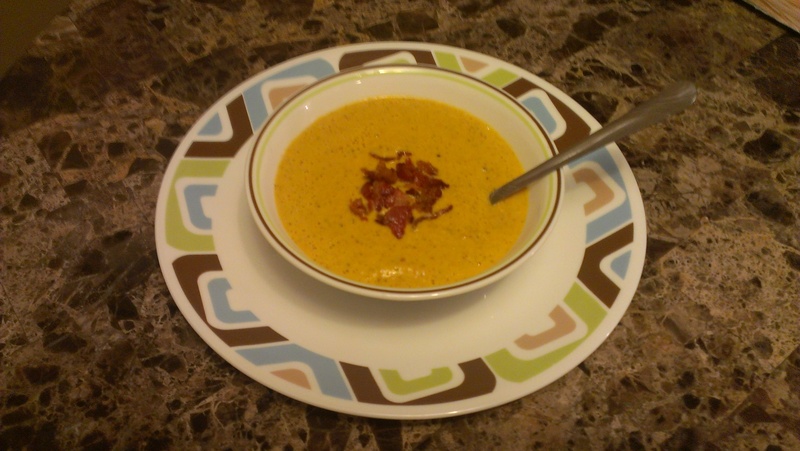 Take soup off heat, and place into a blender. Add blue cheese crumbles and blend. NOTE: Blend once and taste. 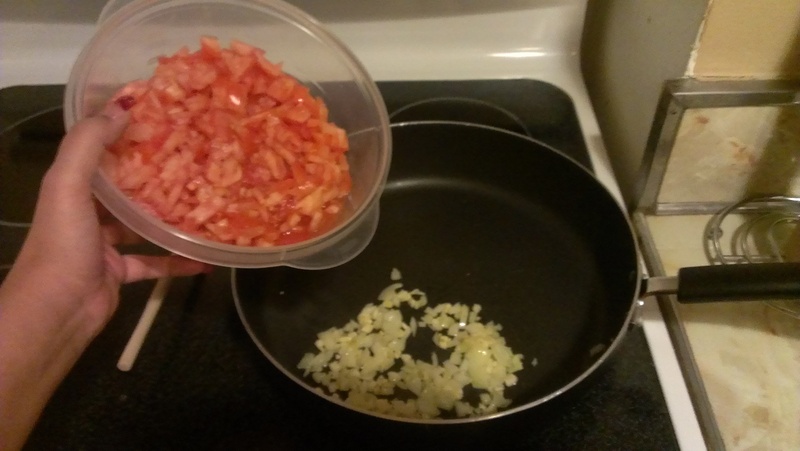 You could add some more salt or cheese, and blend again, per your taste/liking. 5. Transfer soup back into pot. Add oregano and bacon to taste.